SANTA CLARA, Calif. -- It was only a year ago that Jamaica reached the CONCACAF Gold Cup final on the heels of a commendable performance in the Copa America, where the Reggae Boyz may have lost all three of their games, but each by the minimum 1-0 scoreline. In its Copa America Centenario finale on Monday - a match played between a pair of previously eliminated sides -- the current Caribbean champion fell 3-0 to Uruguay at Levi's Stadium. The results weren't what Jamaica hoped for or expected, concluding with its largest-ever loss in the competition. "We didn't play our best game and that's how it is," said Jamaica goalkeeper Andre Blake, an outstanding performer throughout the group stage. "We got a few chances, we didn't capitalize. Congrats to Uruguay, they did a great job today." Although the first-half statistics were largely even, Uruguay was able to net once on seven shots. The Jamaicans, who registered only one attempt during the opening 45 minutes, looked more spirited after the break. "We knew we had no pressure, so we just had to go out there and play and give it all we got," Blake commented. "Unlucky, we didn't get a goal and that's how it is. They got a second one and put the game away." Success in football so often depends on small details as advancement hinges on avoiding errors and capitalizing on chances. For Jamaica, an opening 1-0 loss to Venezuela set a tentative tone. Key midfielder Rodolph Austin was sent off in the 23rd minute, eight minutes after Josef Martinez gave the Vinotino a 1-0 lead. In that game, Je-Vaughn Watson's header crashed off the crossbar and Michael Hector struck the right post. If one or both of those efforts hits the back of the net, the Reggae Boyz's Copa course could have been very different. "I think we just had a few hiccups here and there, a couple misplays," analyzed Blake. "It's a team work. We win together, we lose together and it was just tough luck." 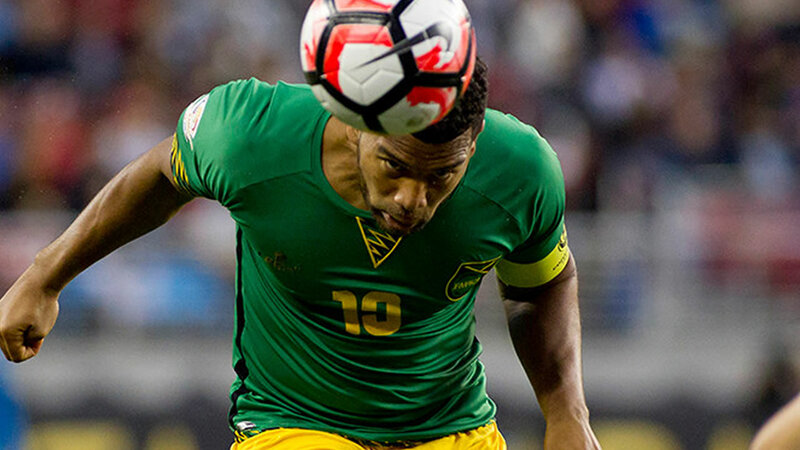 Jamaica returns to competitive action on September 2, needing a victory at Panama to remain alive in qualifying for the 2018 FIFA World Cup. Blake is already focused on that future task. "I think we got a lot of experience playing in a big tournament like this," the Philadelphia Union custodian concluded. "Hopefully, we can just move on and build on this." Uruguay won the first edition of Copa America in 1916 and in the subsequent 99 years they've added 14 more titles to their trophy cabinet. Jamaica took positives from their first turn at Copa America last year in Chile despite going out in the group stage. The run in South America set the Reggae Boyz up for some unprecedented success later in the summer when they knocked off the United States in the semifinals of the 2015 CONCACAF Gold Cup before finishing second place behind Mexico. For more on the COPA America competition including stats and scores, click here.